I was glad to read his column as well because I keep seeing new varieties as well. I'm certainly not an expert, so it's nice to see Kramer and the likes admitting they are still learning! I'm actually glad there will always be new wine to taste and learn about. Jim - what was really interesting was how well all of the wines paired with the range of cheese cakes. But, personally, my favorite two were the Moscato d'Asti with the classic cheese cake, and the Malbec with the chocolate chip one. Amazing pairing! Brian, Great article highlighting Matt Kramer's notes on how it's quite fine to be open to continuing wine education, especially when it comes to Italy. With over 350+ "authorized" grape varieties and more than 500 other documented varieties, the world of Italian wines sure does have an embarrassment of riches!! Italy's Ministry of Agriculture and Forestry (MIRAF), has documented over 350 grapes and granted them "authorized" status. There are more than 500 other documented varietals in circulation as well. 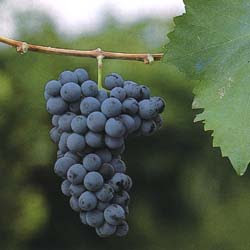 The following is a list of the most common and important of Italy's varietals.